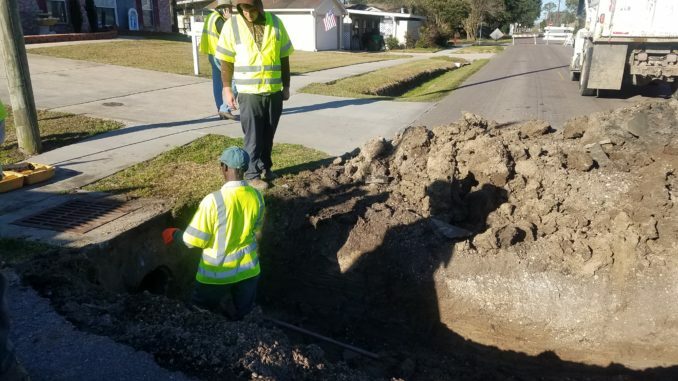 Norco traffic is being detoured since a St. Charles Parish public works crew discovered a major collapsed drainage line at the intersection of Fifth and Mary streets at about 6:30 a.m. today (Jan. 31). Parish spokesman Tristan Babin said the repair required closing the intersection, but a temporarily fix of the three feet wide that runs across Fifth Street should be in place later today. Babin said a permanent fix will take several weeks.Traffic is being detoured to Fourth and Sixth streets.